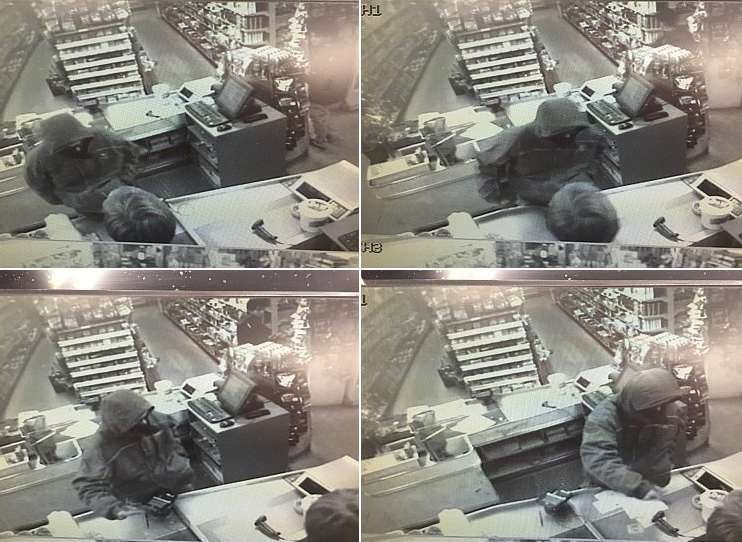 On Wednesday Evening at approximately 7:15 PM a lone male entered Dan & Whits walked up to the cash register and demanded the money in the register. The male did not display a weapon but a noticeable bulge was described in his jacket pocket where the male indicated he had a weapon. The male made off with an undisclosed amount of cash. There was no direction of travel other then out of the front of the store and no vehicle observed. The male is described as a white male early 30’s approx. 6′ – 6’2″ wearing a bulky type dark jacket with the hood up over his head and wearing sun glasses. Officers from Norwich, Hartford, Hanover and Vermont State Police responded. Attached photos from inside the store. Anyone with information is asked to call Officer Anna Ingraham of the Norwich Police Department or the Norwich Police Department at 802-6409-1460.